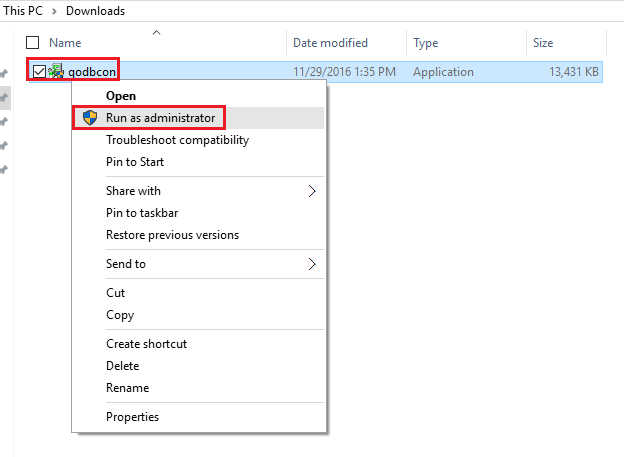 How to upgrade the QODBC Online version without reauthorizing to your QuickBooks Online. 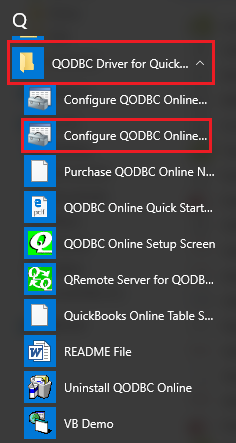 I want to upgrade QODBC Online to the latest version, Do I have to reauthorize QODBC Online to connect to my QuickBooks Online company? Can I upgrade QODBC Online without the need of reauthorizing QODBC Online with my QuickBooks Online? 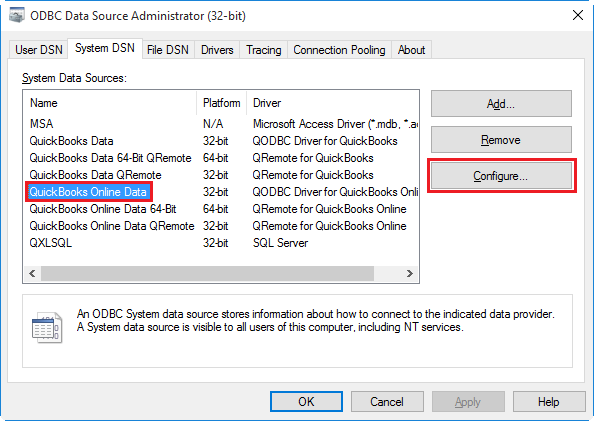 During the installation of QODBC Online, a default System DSN "QuickBooks Online Data" will be created. 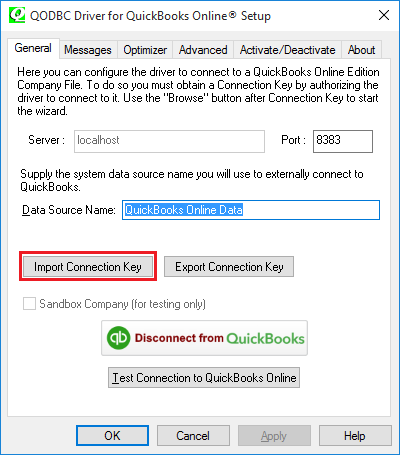 If you are using "QuickBooks Online Data" DSN to connect to your QuickBooks Online, you can retain the connection to your QuickBooks Online company. Please follow the below-listed steps. 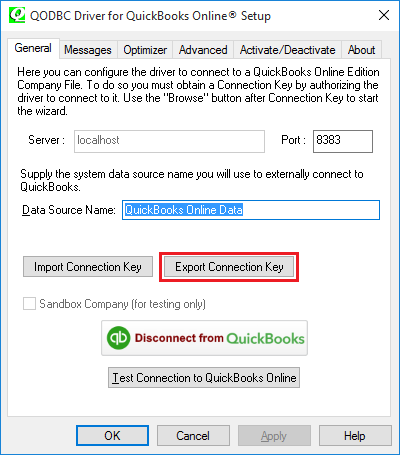 Go To "System DSN" Tab>> select QuickBooks Online Data>> click "configure"
Now connection key exported successfully. 2) Uninstall the current version of QODBC Online. 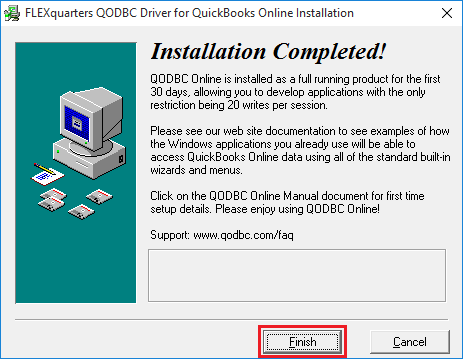 3) Download and Install the latest version of the QODBC Online. Install the latest version of QODBC Online. 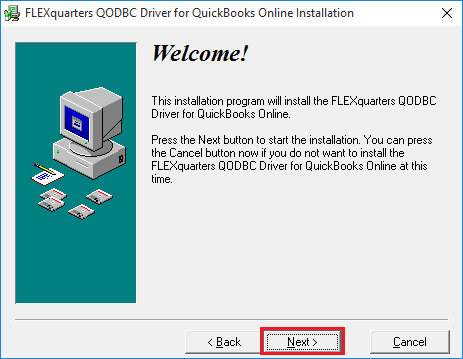 Start>>All Programs>> QODBC Driver for use with QuickBooks Online>> Configure QODBC Online Data Source>> Go To "System DSN" Tab>> select QuickBooks Online Data>> click "configure">> switch to General tab click on "Import Connection key" button & import key. 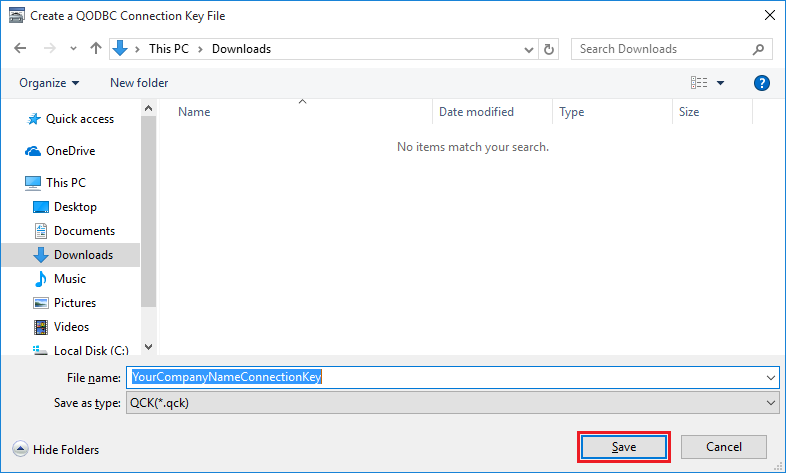 Now connection key imported successfully. 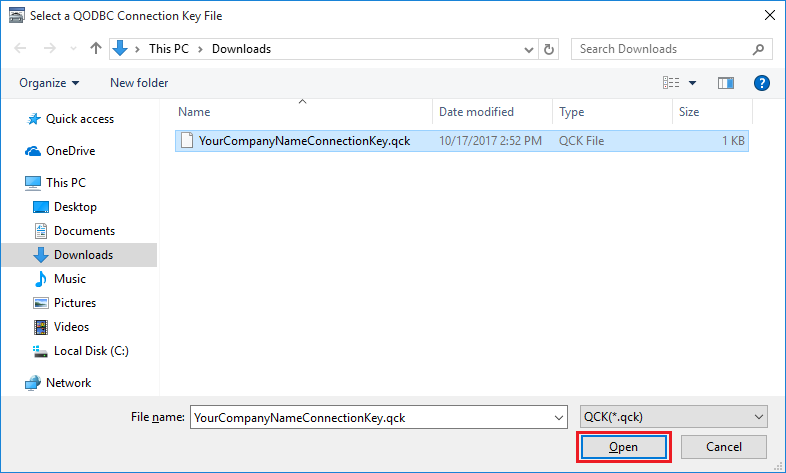 You can connect to QuickBooks Online using this connection key. For system requirement details of QODBC Online click here.